Criss Cross Mangosauce presents a bilingual (English/Spanish) and bicultural performing group. This group is a “must-see treat” for children, families and educators interested in the Spanish language and the Latino culture. 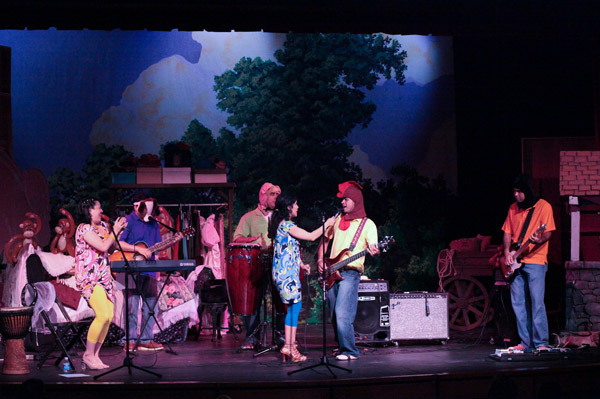 Since 2007, when the first CD was launched, our award-winning group has performed at hundreds of libraries, schools and cultural events, sharing the flavors of this “Mangosauce” with thousands of children, families and educators. Our interactive performances make children move and sing in both English and Spanish, using a combination of traditional Latin rhythms and classic American children rhymes. We also introduce sing-along stories and games from various countries in Latin-America. Children (and adults) will enjoy the vibrant sound of exotic congas, a traditional Venezuelan cuatro and castanets (among other instruments). At the sound of “Doy Vueltas/I am Turning”, everyone will move, jump and dance all around. 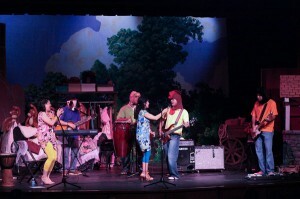 With “Cinco Monitos/ Five Little Monkeys”, children will learn salsa and play the popular monkey rhyme. And be ready to be surprised with the new Caribbean “Hokey Pokey”! Our “Interactive Educational Performance“ features a duo of talented artists. This is a 30 to 45 minute high energy experience involving audience participation. Best suited for small educational settings such us: libraries, small cultural events, classrooms, among others. We also offer a “Full Band Concert“ featuring our 6-piece band, our great group of musicians fuses tropical rhythms with bossa nova and rock undertones. This is a 45 minute to an hour concert, perfect for festivals, open areas and medium to large size auditoriums.